All building work and extensions will have to undergo a detailed survey to determine if planning permission may be needed. Having completed the design, a surveyor will take detailed measurements and confirm your order details. Following that, the surveyor will produce manufacturing drawings to be sent to our factory. 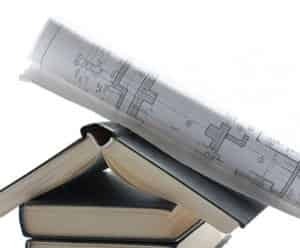 If planning permission or building regulations are needed, our dedicated planning department will manage all the paperwork, including the issue of relevant consents, to provide total peace of mind for you. From start to finish, every installation project is managed by our experienced and qualified team. Concept Windows and Conservatories promise to deliver a truly customer-focused service, ensuring everything runs smoothly by overseeing all aspects of the job. The planning project management is always in place to make sure you’re reassured and any questions you may have are answered. We’ll be with you through the actual installation and final finishing touches to make sure the project is just as you like. If you need planning permission or if your conservatory is subject to building regulations you won’t have the worry and hassle to contend with. Our approach to customer care is comprehensive and complete – our dedicated planning department will manage the process and obtain any relevant permission’s needed on your behalf, in order to make the process run as smoothly as possible. The Planning Portal is the UK Government’s resource for planning information and services. Take a look at their website for more information. The planning process begins with you choosing your ideal conservatory. Using our innovative online quoting system, you can browse, and get prices on our complete conservatory range. A conservatory can bring a large number of benefits to your home, including extra living space that can be used for relaxation, productivity, or both. We understand that the end product is what you’re looking forward to, but there are many factors that need to be taken into account. Conservatories do not generally require planning permission, due to the fact that they are considered to be a permitted development. However, you will need to consider whether your conservatory will require planning permission, due to limitations in size and height. You can visit your local government’s planning permission portal to view the regulations personally. To get the perfect fit from our planning process, it is paramount to have a clear idea of what you will require. This includes design, planning permission and build. Planning consideration is the quickest way to ensuring a smooth, and efficient conservatory installation. Effective planning permission coincides well with the size of your property and garden. It is very important that your conservatory is proportionate to your home, in order to get the perfect fit. This not only benefits you as a homeowner, it also allows you to bring value to your property, should you want to sell it. Garden size should also be considered during the planning permission process. A larger conservatory will be detrimental to your garden space, and will therefore leave less room for any avid gardeners or homeowners who enjoy garden space. Using our planning permission service will guarantee that the conservatory you choose will completely complement your property, and ensures absolute satisfaction all round. Our planning permission services span across our entire range of beautiful conservatories, including Victorian Conservatories, Lean-To Conservatories, Gable Conservatories, and Edwardian Conservatories. We also include planning services for our whole Bespoke conservatory range. It’s important to choose a conservatory that suits your preferences, property and tastes. Concept Windows will help you find the perfect conservatory for your home, and fit it to the highest standards available. Interested in our planning permission services? Don’t hesitate to use our contact form to receive a quick and efficient response. Alternatively, if you’d prefer to speak to us personally, you can call us on 0800 289 299. Our friendly team will be happy to help.